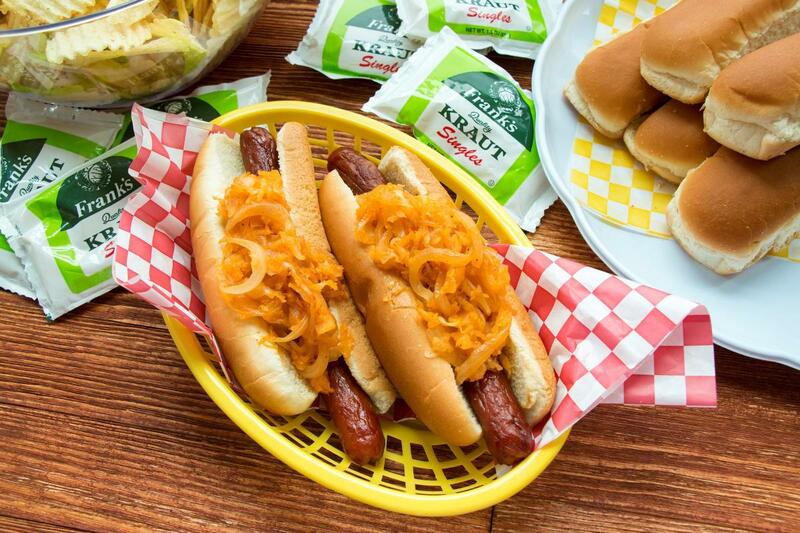 Grilling Out with Frank's Kraut - Sauerkraut is the new condiment in town! All of the other condiments are taking a back seat today. 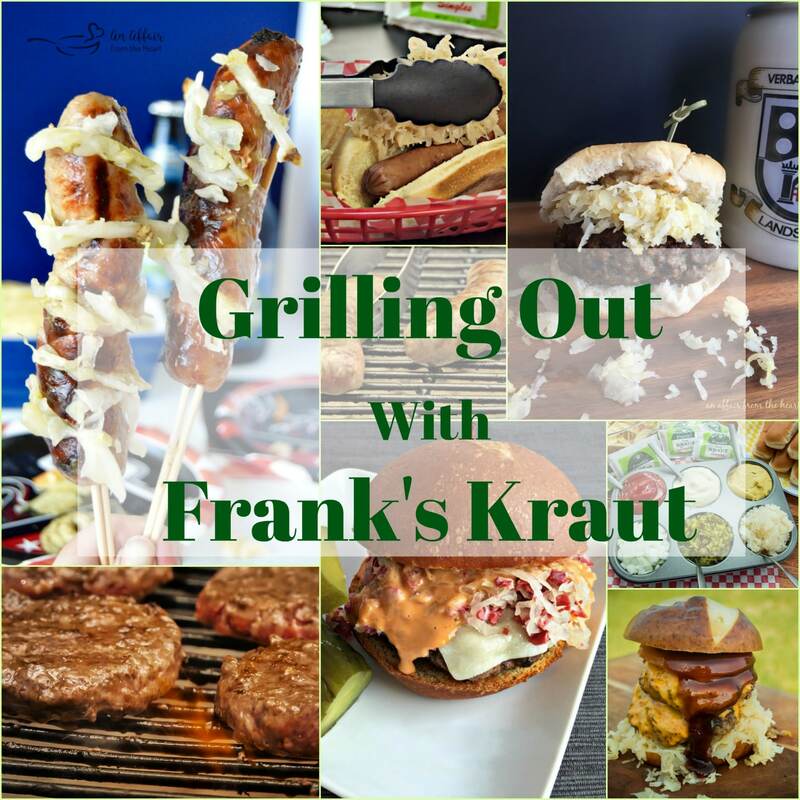 Today we are talking about topping those grilled meats with nothing other than our favorite sauerkraut, Frank’s Kraut! Memorial Day is quickly approaching, it’s only days away. All across the country we will be firing up our grills and making all sorts of burgers, brats and hotdogs. 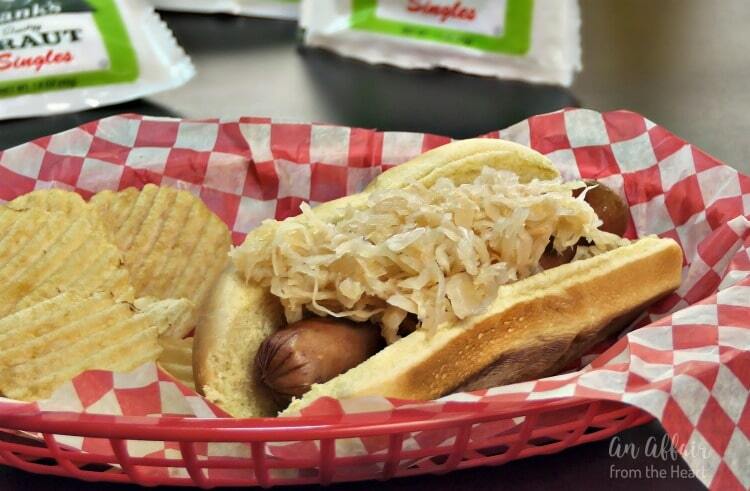 Don’t let them go flavorless … top them with some Frank’s Kraut! This post is sponsored by our favorite sauerkraut, Frank’s Kraut. All of the opinions here and the lifelong love of their sauerkraut is my very own. Memorial Day is a federal holiday in the United States for remembering those people who have given their lives while serving in our country’s armed forces. Memorial Day is observed each year on the last Monday of May. It marks the unofficial start of the summer vacation season, while Labor Day marks its end. Many people visit cemeteries and memorials, particularly to honor those who have died in military service. Many volunteers place an American flag on each grave in national cemeteries. Memorial Day is not to be confused with Veterans Day – Memorial Day is a day of remembering the men and women who died while serving, where Veterans Day celebrates the service of all of our U.S. military veterans. For many, it’s a time to gather the family on the patio, throw something delicious on the grill and relax on the long weekend. 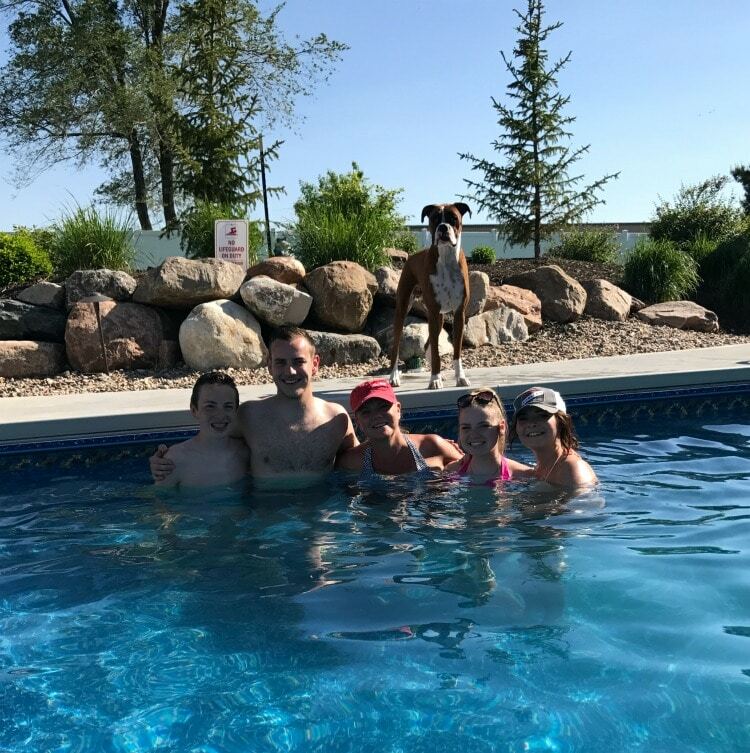 We typically spend ours gathered around our pool. Everyone knows they can stop anytime, and there is always plenty to eat and to drink. 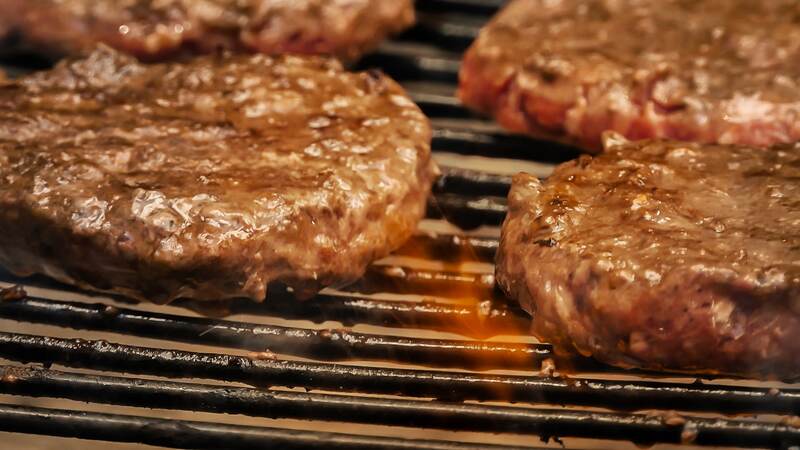 When it comes to grilling what’s your favorite? A nice juicy burger? Or maybe a brat or hot dog?? Any way you do it, You gotta have the toppings, right? Sure there are those old stand by condiments. Ketchup, mustard, mayo and relish. But what about KRAUT? What? Kraut you say?? You haven’t tried kraut on a burger? 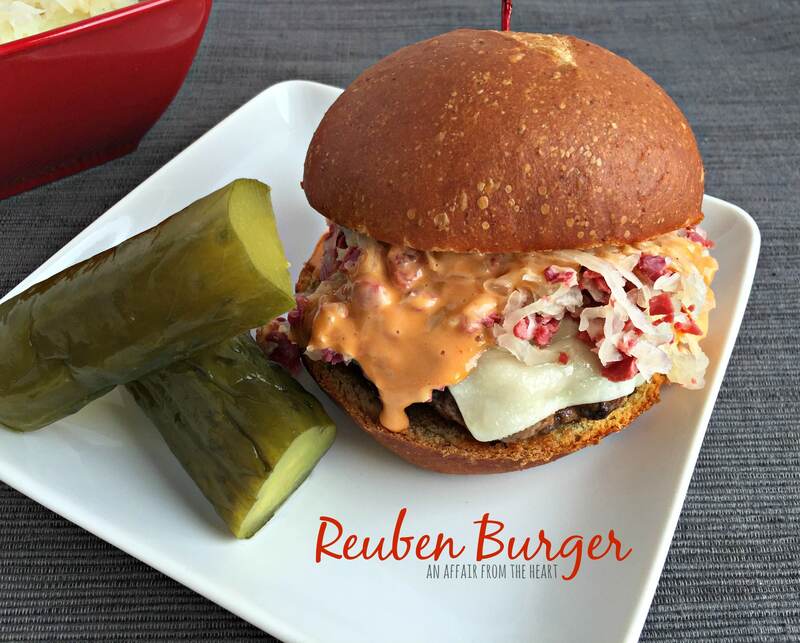 The REUBEN BURGER – Love a good burger? How about a good Reuben? Find the best of both worlds in this EPIC Reuben Burger! Grill up a burger patty just the way you like it, top it with kraut, Thousand Island dressing and corned beef! Grab a napkin … you’ll need it! The BRAT BURGER – Perfectly seasoned, flavorful brat burgers — looks like a burger, tastes like a bratwurst! Made with both lean ground beef and ground bratwurst. Top it with a mound of sauerkraut, and grab yourself a cold one. 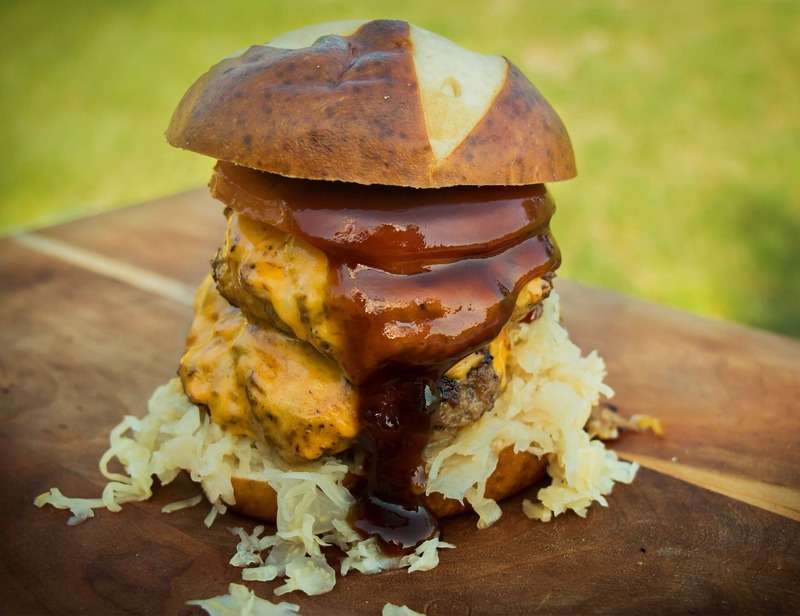 Frank’s Barbecue Kraut Burger – Ground beef, Frank’s Kraut, BBQ Sauce, Cheddar cheese and a pretzel bun! Dig In! 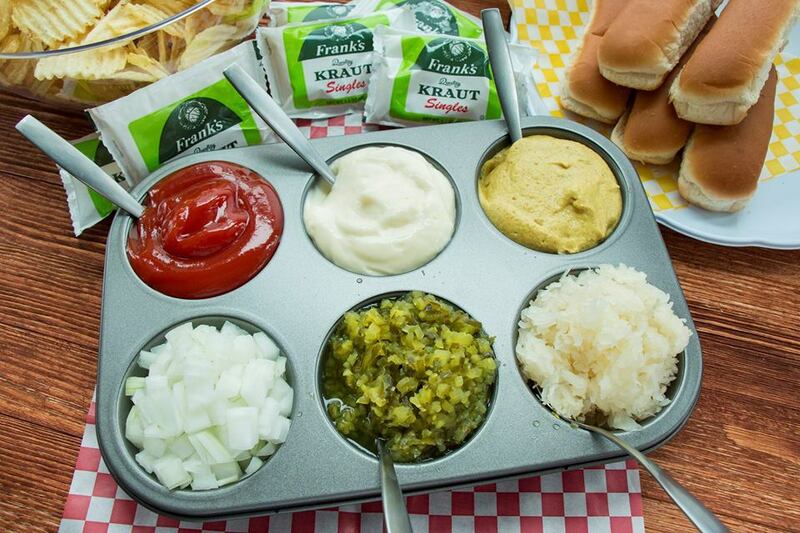 Frank’s posted this clever idea to their social media accounts this week — what a cute way to serve condiments for all of your grilled masterpieces! Use a 6 Count Muffin Pan! Now, what if you aren’t in the mood for a burger? 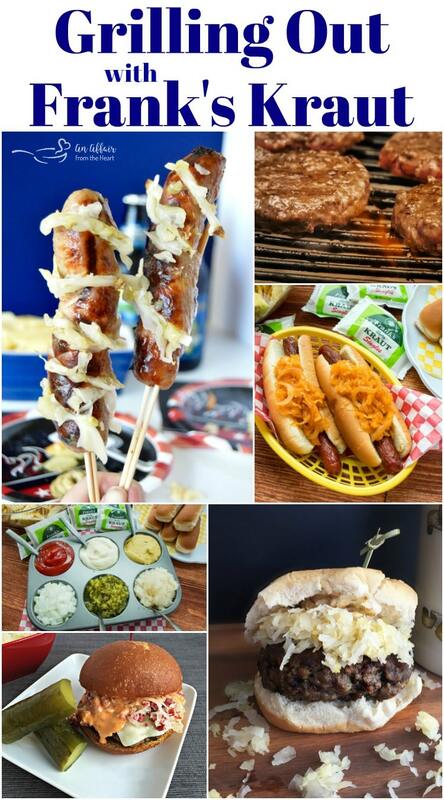 Well, we have that covered, too, with these great Brat and Hot Dogs recipes, there is something for EVERYONE! 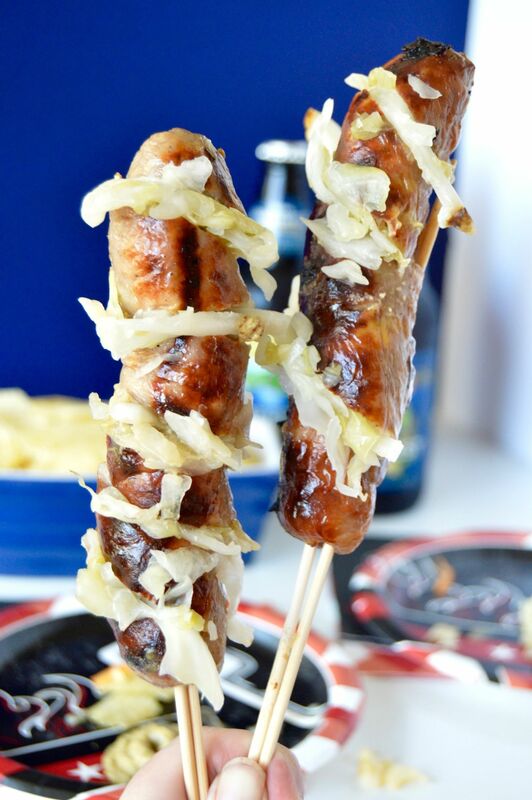 These Grilled Brats on a Stick come from my friend, over at West Via Midwest, You won’t miss the bun, these perfectly grilled brats have the Kraut tucked right in! Serve ’em on the stick for the no carb eaters! Make some room for a Frank’s Classic New York Dog! Stadium dogs dressed up with a kraut sauce made special. I’ll have two! SAUERKRAUT SALAD – Tangy sauerkraut salad with crisp raw veggies and apples, marinated in a sweet dressing. 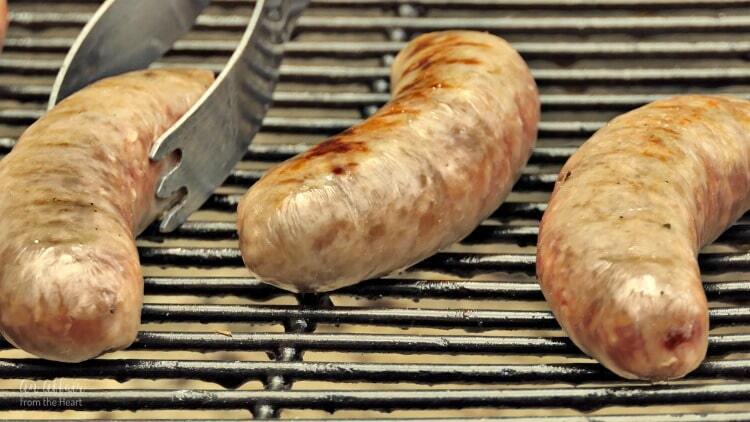 Perfect as a side dish or to top off burgers, hot dogs or brats. Now cookout is complete without this amazing Sauerkraut Salad! 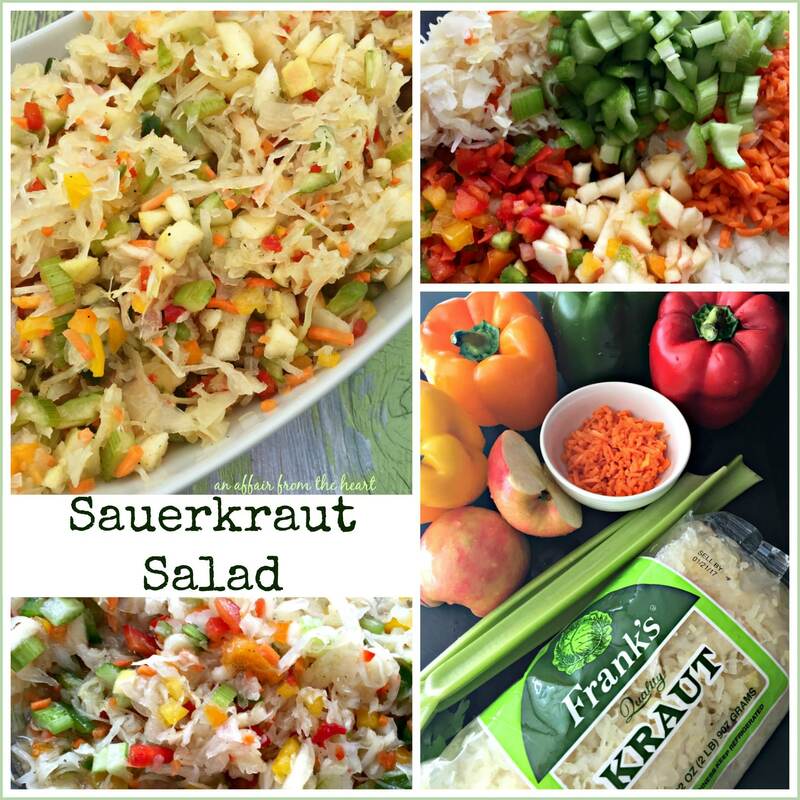 See ALL of my Sauerkraut Recipes Right Here! Relax and enjoy yourself this weekend. 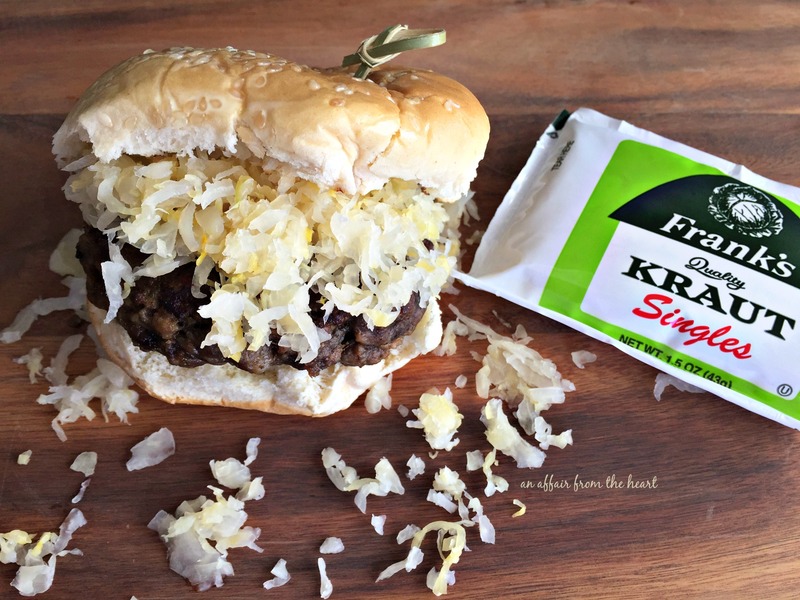 I love kraut, but how have I never thought to put it on a burger!>??? Going to fix that over the holiday weekend! I bet you’d love the Brat Burgers!! We are huge fans of Frank’s kraut and never knew it came in singles! This looks the the perfect addition to grilling season to make sure we always have some on hand. Thanks for the fantastic post! One, no two of each, please and thank you! All of the dishes with Frank’s kraut look good, but that Ruben burger is out of with world…epic indeed! Love your beautiful family photo. Enjoy the holiday with your loves. I hope you and your family had the BEST Memorial Day and with all of these grilling favorites, what a great start! 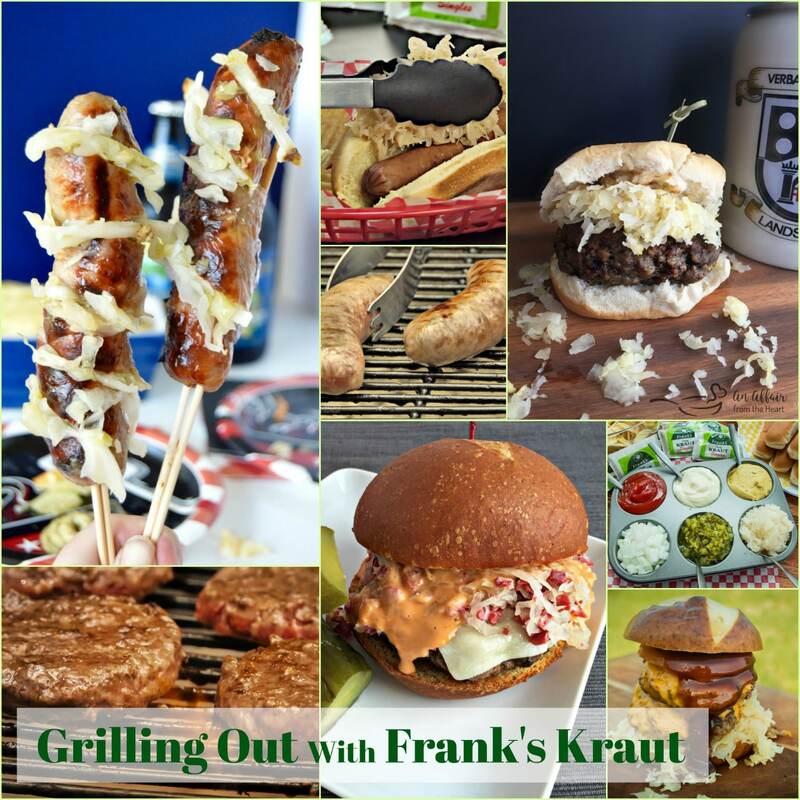 So many delicious options to enjoy yummy Frank’s Kraut! If I am ever looking for a Kraut recipe, I know where to go! Plus, in AZ, I can use these grilling ones all year long!